India’s growth towards generating solar power has been commendable. Although out of the 40 GW solar capacity target for Indian rooftop sector, only 1 GW capacity has been achieved, this development shows about 113 per cent growth over 2015. The target to reach the 40 GW mark within 2022 seems somewhat far from expectation, but a growth from 525 MW installations in 2015, to crossing the 1 GW mark in 2016 can be considered impressive. 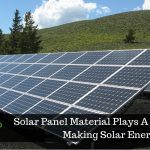 Whether the growth is impressive or unimpressive is open to debate, the important thing is to focus upon eradicating challenges which still stand tall on the path of rooftop solar power generation. Apart from the government support viz. Central Electricity Authority of India’s (CEA) latest plan to add about 24 GW rooftop solar capacity within 2027, and support from the private players, i.e. the rooftop solar companies in India, there is more to make the rooftop solar target achievable. With about 300 million households in the country, the rooftop potential is about 124000 MW. Statistics show that with simply 1.3 per cent of solar compatible households, more than 30 per cent of the rooftop solar potential can be covered. 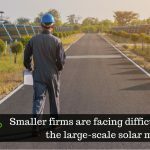 Despite government support and private solar companies giving a supporting hand, the rooftop implementation process is not up to the mark needed to reach 40 GW by 2022. Solar policies like net metering and financial support can help only if enforced aggressively to see the positive result. Reaching the rooftop solar target successfully requires the involvement of the common man. Projects amounting to 10KW capacity for residential and small commercial clients needs to be done at a much larger and wider scale. Far-reaching awareness campaigns describing quality, cost, and benefits of solar can also raise acceptance and allow people in rural and urban locations to choose solar energy. MNRE is playing its part by trying to spread awareness through various mediums like radio and TV. 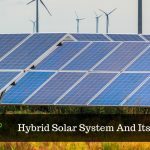 Other aspects such as including nodal agencies, arranging school level education programs, and demonstrating the working of solar systems in events conducted at rural and urban areas can phenomenally help in achieving the targets set for solar power generation and green development.